As featured on Evening Magazine. Get inspired to design your space. 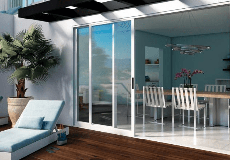 See what's hot for patio doors this year! Want to know how to make your home feel like a home? Read on for these great tips. Get inspired with these ideas to bring more light into your home and enjoy your view. We’ve got five of the best patio door options for 2017 that you have to see to believe. Expand your living area with big patio doors and embrace indoor/outdoor living.